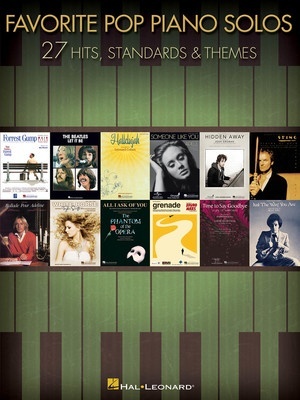 27 terrific hits, standards & themes - many of which have never been available in solo arrangements! Includes: All I Ask of You · Bella's Lullaby · Bohemian Rhapsody · Don't Stop Believin' · Forrest Gump - Main Title· Grenade · Hallelujah · Hello · Just the Way You Are · Let It Be · On My Own · The Pink Panther · Someone like You · When She Loved Me · and more. 23 God Bless The U.S.A.